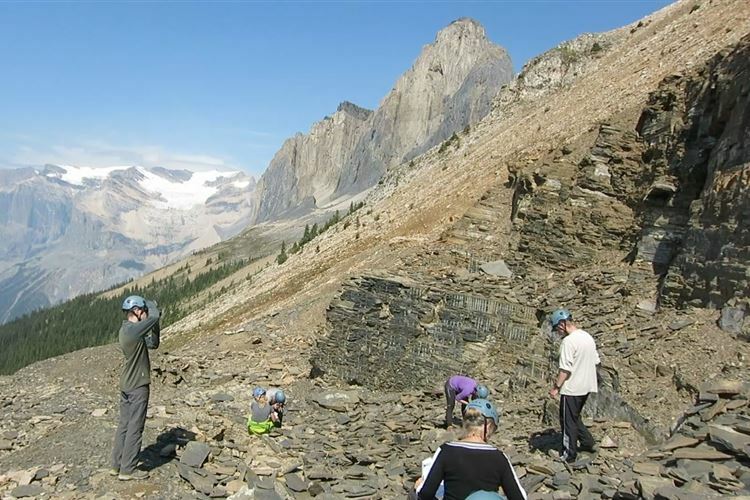 I ordered up a guided tour of the Burgess Shale. There are two other sites but I chose the classic Walcott site. It starts on the same trailhead as Iceline but moves to the left instead. People are more interested in talking with the guide. The trail itself isn't particularly memorable. 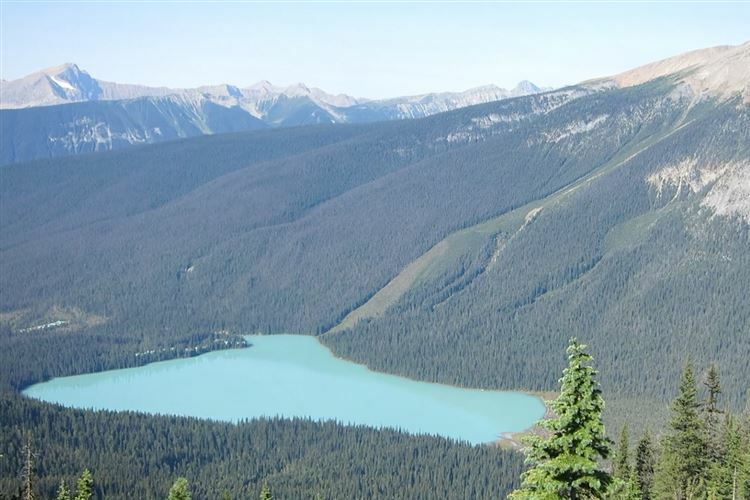 It's nice to see Emerald Lake below but the fossil hunt was worth the trip. 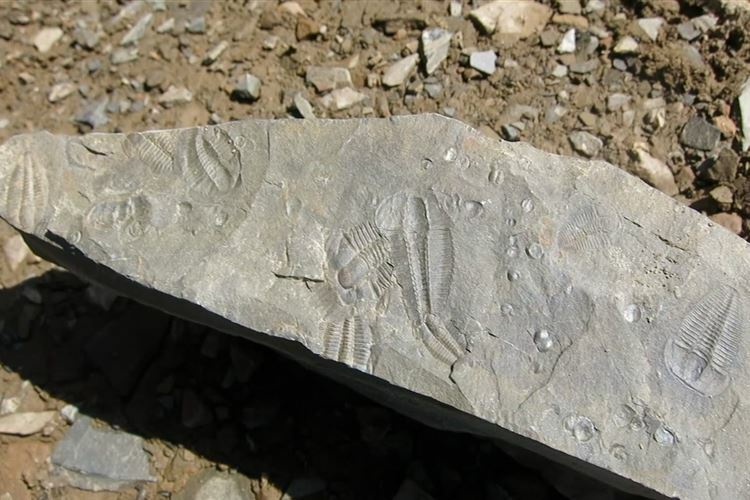 They have guide books to help you recognize different life forms from the Cambrian explosion. Walkopedia says thank you very much Richard.